A friend and coworker recently designed a logo for my husband to use on a T-shirt. The design was great, and we are so appreciative. I made a 4x4 card to go along with a gift to thank her for her help. I used George and Basic Shapes for the flowers and added a brad that says "You're the Best." Then I stamped the sentiment and swirl. 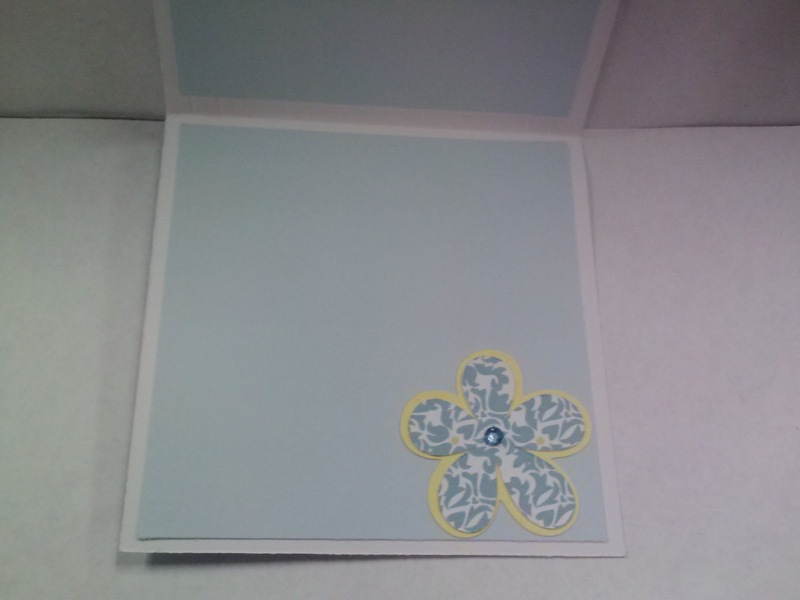 I also embossed the edges of the card for a little dimension. Inside the card I added another flower and gem. A beautiful CAS card, love the design. 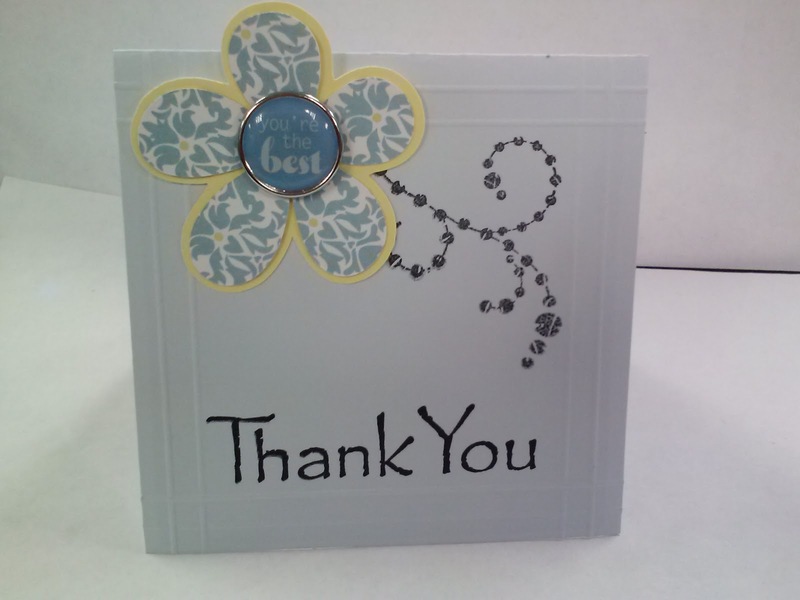 Thanks for joining us at Totally Papercrafts. 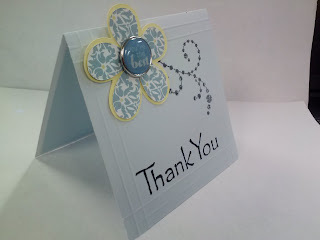 What a pretty little card, really stylish and totally lovely!